Are you ready to be the envy of all your mates? In fact, they’ll envy you so much that they’re going to call over more often – hope you’re ready for that! Find out why hundreds of gamers are using Buddabags to improve their gaming experience. Buddabag is the ultimate in comfortable seating and is the ideal alternative to the typical gaming chair. 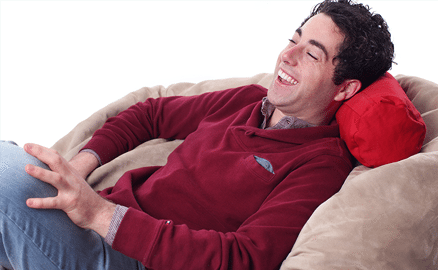 Much better than a common bean bag it’s filled with high grade memory foam and it cleverly moulds to the shape of your body and supports you where you need it most. So you or your kids can game even longer (like they need any encouragement?) without your neck and shoulders aching as usual. Unlike conventional gaming chairs that look awful and really only have one use (try getting cosy on one! 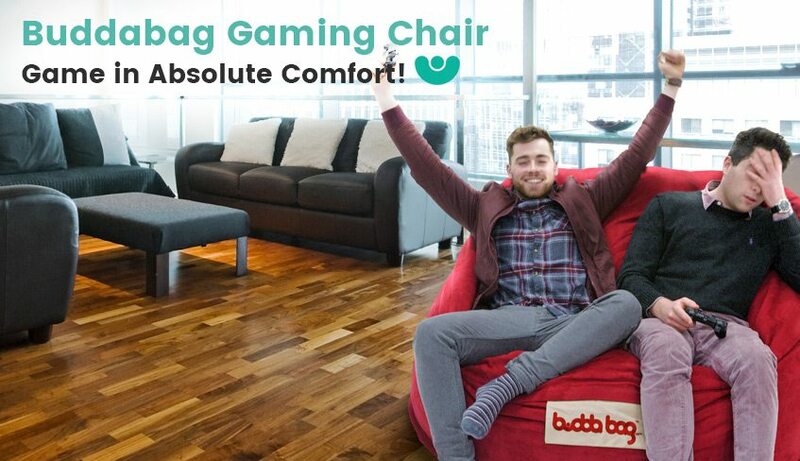 ), the Buddabag will enhance the social life of any gamer. For a start, it looks more stylish so will transform any living space. In addition, your friends will love it because it is so cool and soooo comfy. In fact, they’ll envy you so much that they’re going to call over more often – hope you’re ready for that! Once you will dive on a Buddabag you are definitely going to LOVE it and feel the difference.